Giám đốc Trung-Tâm Thính-Thị Anh-Ngữ thuộc Bộ Giáo Dục VIệt Nam Cộng Hòa (1968-1970). Giảng sư Ngữ học Anh và Phương pháp giảng dậy ESL tại Đại Học Sư Phạm Saigon (1968-1975). Giám đốc Trung Tâm Sinh Ngữ thuộc Viện Đại Học Saigon (do Đại Học Sư Phạm Saigon quản trị) (1971-1975). Giảng viên (Lecturer) phụ trách môn English grammar and composition trong English department của San Antonio College, Texas (1976-1980). Giám đốc Chương trình “World Languages” thuộc Dallas School District (1981-1997). Giáo sư thực thụ (Tenured full professor) kiêm nhiệm Giám đốc chương trình đào tạo giáo chức song ngữ và ESL tại Texas Woman's University (1998-2012). Chủ biên (Series editor) chuyên san giáo dục Critical Issues in the Education of English Language Learners dưới sự bảo trợ của Federation of North Texas Area Universities (2006-2011). Về hưu vào mùa hè 2012 và được Texas Woman’s University ân tặng tước vị Professor of Linguistics Emeritus vĩnh viễn để ghi nhận 14 năm phục vụ gương mẫu cho trường đại học này. [Tác giả 1972] The Fundamentals of American English Phonology. Trung Tâm Sinh Ngữ, Đại Học Sư Phạm Saigon. [Tác giả 1974] The Fundamentals of American English Syntax. Trung Tâm Sinh Ngữ, Đại Học Sư Phạm Saigon. [Tác giả 1980] A Contrastive Approach for Teaching ESL to Indochinese Students. Intercultural Development Research Association, San Antonio. [Tác giả 1981] The IDRA Structured Language Interview. Intercultural Development Research Association, San Antonio. [Tác giả 1981] The IDRA Oral Language Dominance Test. Intercultural Development Research Association, San Antonio. [Tác giả 1981] A Manual for Teachers of Indochinese Students. Intercultural Development Research Association, San Antonio. [Tác giả đóng góp 1991] Teaching Linguistically Different Learners. Alpha Editions, Edina, Minnesota. [Tác giả 1992] Immersion Spanish Programs in Elementary Schools. Dallas Independent School District, Dallas. [Tác giả 1994] Instructional Guide for World Languages. Dallas Independent School District, Dallas. [Tác giả đóng góp 2004] Resource Guide of Language Transfer Issues for English Language Learners. Rigby Textbook Company, Barrington, Illinois. [Chủ biên 2006] Cultural and Linguistic Issues for English Language Learners. Federation of North Texas Area Universities, Denton, Texas. [Chủ biên 2007] Intercultural Understanding. Federation of North Texas Area Universities, Denton, Texas. [Chủ biên 2008] Current Issues and Best Practice in Bilingual and ESL Education. Federation of North Texas Area Universities, Denton, Texas. [Chủ biên 2009] Understanding the English Language Learner. Federation of North Texas Area Universities, Denton, Texas. [Tác giả đóng góp 2010] Music in Elementary Education. Prentice-Hall, Upper Saddle River, New Jersey. [Chủ biên 2010] Teaching English Language Learners: An International Perspective. Federation of North Texas Area Universities, Denton, Texas. [Chủ biên 2011] Linguistic and Cultural Considerations for English Language Learners. Federation of North Texas Area Universities, Denton, Texas. 1980: Presenter, Indochinese Culture Awareness Symposium, Our Lady of the Lake University, March 15, San Antonio, Texas. Topic: The Indochinese Refugees' Cultural Backgrounds. 1984: Presenter, Teachers of English to Speakers of Other Languages (TESOL) Annual Conference, March 15-18, Houston, Texas. Topic: A Contrastive Approach for Teaching English Pronunciation to Vietnamese Speakers. 1987: Keynote Speaker, Gifted Students Institute Annual Conference, March 26, Arlington, Texas. Topic: Giftedness in a Culturally Pluralistic Society. 1993: Keynote Speaker, Texas Teachers of English to Speakers of Other Languages (TexTESOL) Fall Conference, November 5, Dallas, Texas. Topic: Helping ESL Students Think Divergently. 1994: Keynote Speaker, National Committee for School Desegregation Annual Conference, March 24, Dallas, Texas. Topic: A Global Community in Every Classroom. 1994: Keynote Speaker, Texas Teachers of English to Speakers of Other Languages (TexTESOL) Spring Conference, April 15, Dallas, Texas. Topic: Embracing Cultural Diversity in the ESOL Classroom. 1994: Keynote Speaker, Kindergarten Teachers of Texas Annual State Conference, October 21, Austin, Texas. Topic: Cultural Diversity: A Tremendous Instructional Resource. 1998: Presenter, Texas Association for Bilingual Education (TABE) Annual Conference, October 22, San Antonio, Texas. Topic: Helping Students Learn from Multiple Cultural Perspectives. 1998: Keynote Speaker, Texas Teachers of English to Speakers of Other Languages (TexTESOL) Annual State Conference, November 5, Arlington Convention Center, Arlington, Texas. Topic: Bilingual and ESOL Students in the Classroom. 1999: Keynote Speaker, Region 10 Education Service Center Bilingual / ESL Summer Institute, June 2, Dallas, Texas. Topic: My Experiences as an ESL Student: What ReallyMatters. 1999: Keynote Speaker, University of North Texas Symposium on Vietnam: Visual Arts and the Multiculture of Post-Military Relations, October 16, Denton, Texas. Topic: The Vietnamese Americans in Greater Dallas: Their Successes and Their Potential in a New Land. 1999: Presenter, Texas Association for Bilingual Education (TABE) Annual Conference, October 22, Corpus Christi Convention Center, Corpus Christi, Texas. Topic: Let Good Feng Shui Prevail in the Multicultural Classroom. 2000: Presenter, Texas Teachers of English to Speakers of Other Languages (TexTESOL) Spring Conference, April 15, Tarrant County College, Fort Worth, Texas. Topic: Let a Lesson on Feng Shui Enliven Your Classroom! 2000: Presenter, Texas Woman’s University First Annual Symposium on Language and Cultural Diversity, June 10, Denton, Texas. Topic: Aspects of the Intangible Asian Culture. 2001: Keynote Speaker, Association of Metroplex International Educators (AMIE) Annual Meeting, February 16, Dallas, Texas. Topic: In Step with the Intangible Asian Culture. 2001: Presenter, National Association for Bilingual Education (NABE) Annual Conference, February 23, Phoenix, Arizona. Topic: Old Habits Die Hard: Persistent Errors in English Written by Vietnamese Speakers. 2001: Keynote Speaker, Texas Education Agency’s Sixth Annual Conference for Diverse Learners in Secondary Schools, June 29, Austin, Texas. Topic: Hindsight of an English Language Learner. 2001: Keynote Speaker, Texas Teachers of English to Speakers of Other Languages (TexTESOL) Fall Conference, October 20, Eastfield College, Dallas, Texas. Topic: Spanish Influence on ESL Pronunciation. 2002: Keynote Speaker, Oklahoma State Department of Education’s “Academic Success for All Limited-English-Proficient Students” Conference, February 22, University of Central Oklahoma, Edmond, Oklahoma. Topic: Educating ESL Students: What Matters Most. 2003: Presenter, National Association for Bilingual Education (NABE) Annual Conference, January 31, New Orleans, Louisiana. Topic: The Alternative Certification Program: A Joint Success Story of the Dallas Independent School District and Texas Woman’s University. 2004: Presenter, National Association for Bilingual Education (NABE) Annual Conference, February 4-7, Albuquerque, New Mexico. Topic: Enrich Your Students’ Learning Through Multiple Cultural Perspectives. 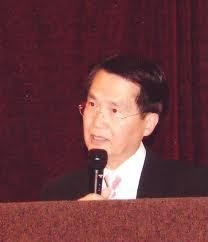 2004: Keynote Speaker, Dallas County Community College District’s Asian Heritage Month Celebration, May 21, El Centro College, Dallas, Texas. Topic: Vietnamese Language and Traditions. 2004: Keynote Speaker, Summer Institute for Bilingual Educators, July 27, Northside Independent School District, San Antonio, Texas. Topic: ESL Learner in Hindsight. 2005: Presenter, National Association for Bilingual Education (NABE) Annual Conference, January 19-22, San Antonio, Texas. Topic: Reading at Home with Your Child: A Workshop for Parents. 2005: Keynote Speaker, First Annual Symposium on Second Language Acquisition and Diversity, University of North Texas, June 11, Denton, Texas. Topic: Creating a Framework for Successful Language Acquisition and Academic Learning. 2005: Keynote Speaker, Diversity Education Lecture Series, Texas Woman’s University, September 6-9, Denton, Texas. Topic: Language Diversity. 2006: Presenter, National Association for Bilingual Education (NABE) Annual Conference, January 21-24, Phoenix, Arizona. Topic: Feng Shui: An Introduction to Intangible Asian Culture. 2007: Presenter, Association of Teacher Educators (ATE) Annual Conference, February 17-21, San Diego, California. Topic: Beliefs about Language Learning. 2008: Presenter, National Association for Bilingual Education (NABE) Annual Conference, February 6-9,Tampa, Florida. Topic: Mother-Tongue Influence in Spanish-Speaking English Language Learners’ Interlanguage. 2009: Presenter, Association of Teacher Educators (ATE) Annual Meeting, February 14-18, Dallas, Texas. Topic: Newcomers Teaching Newcomers: Critical Induction Year Support for Immigrant Bilingual Teachers in Alternative Certification Programs. 2009: Presenter, 31st International Conference on Learning Disabilities, October 2-3, Dallas, Texas. Topic: Facilitating Language Acquisition for English Language Learners in Bilingual, ESL, and Content-Area Classrooms: Strategies for Enhanced Achievement. 2010: Presenter, National Association for Multicultural Education (NAME) Texas Chapter Annual Conference, March 27-28, University of North Texas. Topic: Using Songs to Enliven the Foreign Language Classroom. 2010: Presenter, Vietnamese Culture Colloquium (Họp Mặt Văn Hóa Phong Châu Mở Hội Tiên Rồng), September 10-12, San Jose State University, California. Topic: Some Striking Features in Vietnamese Syntax (Vài Nét Đặc Thù Trong Cú Pháp Tiếng Việt).